You’ve got a sandwich and a piece of fruit ready to stow away in the lunch box, but what else? 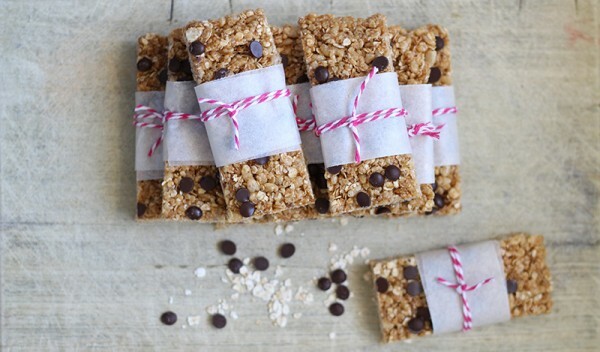 Here’s ten of our favourite (some healthy, some healthy-ish) recess and lunchtime snacks to make at home. My muesli bar of choice is this yumilicious, fruit packed muesli bar slice. Brimming with pops of sweetness from dried cranberries, they’re a taste sensation. 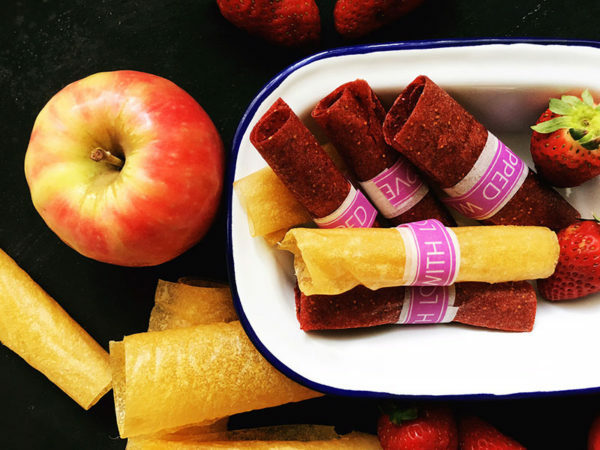 A fun snack is stretchy and delicious apple and strawberry fruit leathers. All natural with no added sugar, these are delicious! 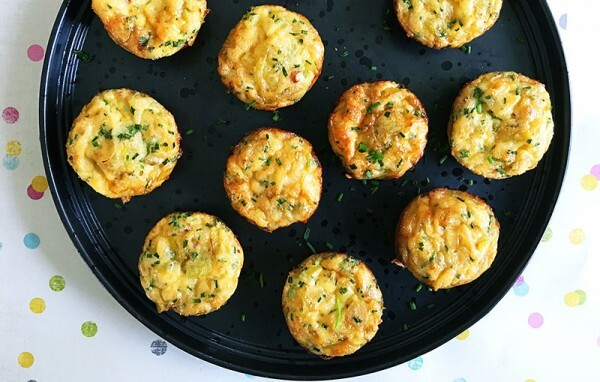 For something packing a cheesy flavour punch and is quick to eat, our mini cheese and leek frittatas fit the bill perfectly. 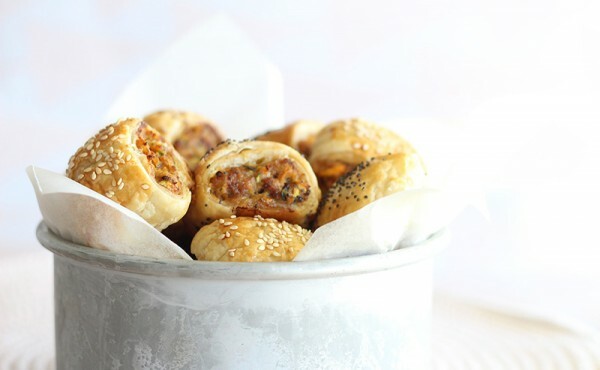 A couple of mini sausage rolls is a tasty treat indeed. Pack them with added veg to pump up the nutritional value. 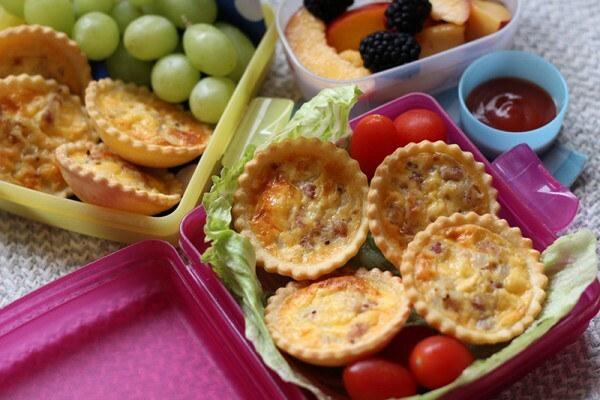 A favourite in our home, mini quiches make for not only a great lunch, but one or two are just right when a snack attack hits. 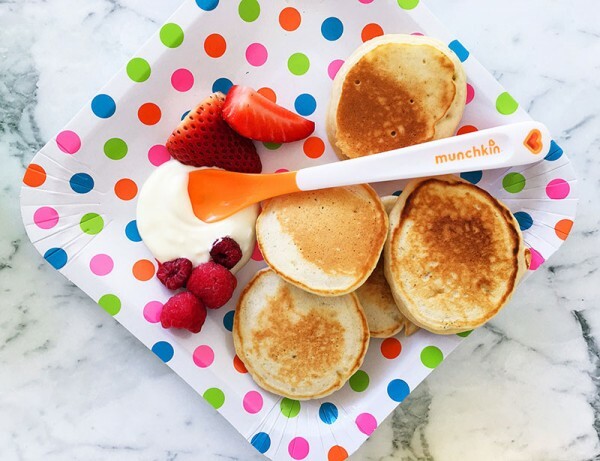 Pikelets are a regular in our lunch box rotation. Pack with a pot of yoghurt to dip them in or just by themselves, yum! We have a muesli bar for everyone. 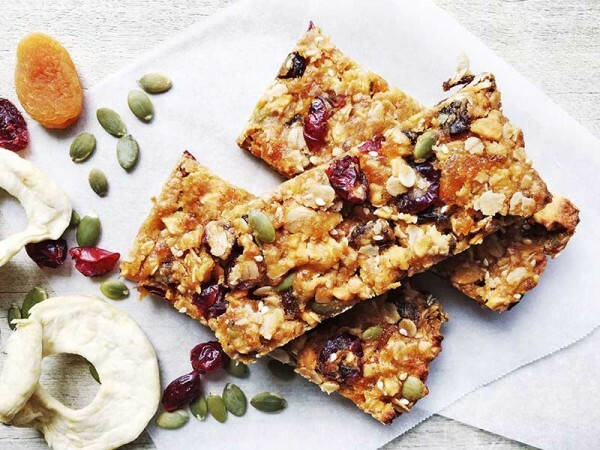 This no bake muesli bar is perfect for whipping up on a Sunday night. 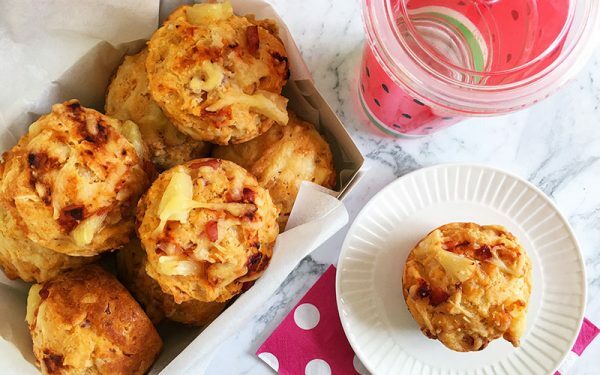 If it’s a savoury muffin you want, check out our pizza muffins. Pizza in a muffin? What’s not to love? 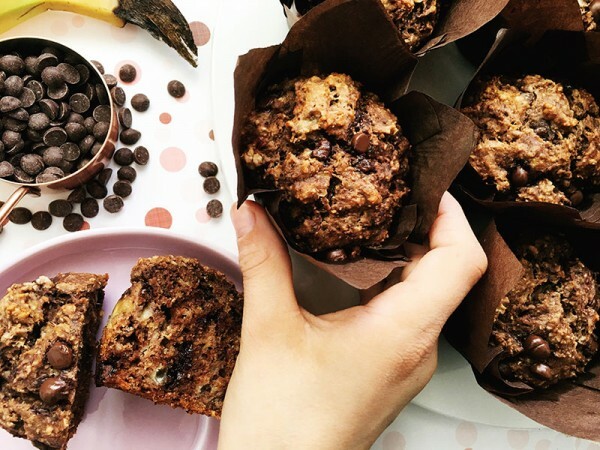 For those who prefer a muffin on the sweeter side, try our sugar-busting double chocolate banana muffins. 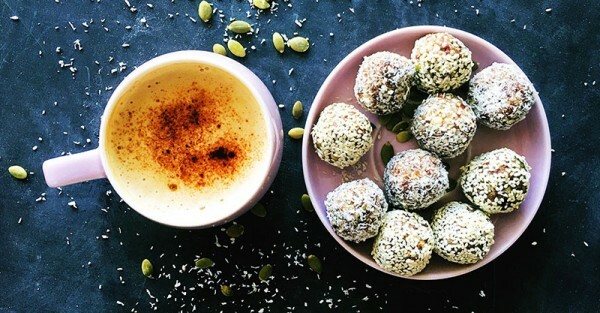 You’ll feel all the better for eating a sweet treat with no refined sugar. Super easy and quick to make, the kids will devour these before the bell even stops ringing. 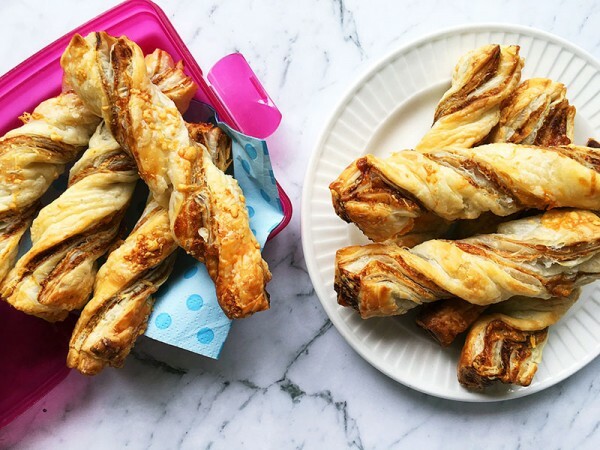 Cheese and Vegemite twists are mighty delicious! Lastly, kids enjoy bliss balls too! Swap out the caffeinated cacao for carob and omit the nuts if your school has a no-nut policy.